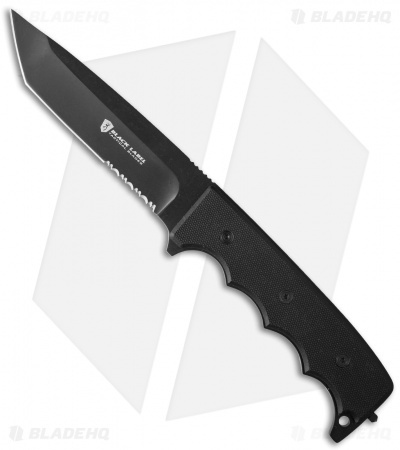 The shark-like imposing Stone Cold features a hefty tanto blade crafted of matte black 440 stainless steel with a hollow grind, partial edge serrations, a pronounced front guard plus a squared pommel with a hardened glass breaking point. The finger-grooved handle is a full tang design and has black G10 scales. 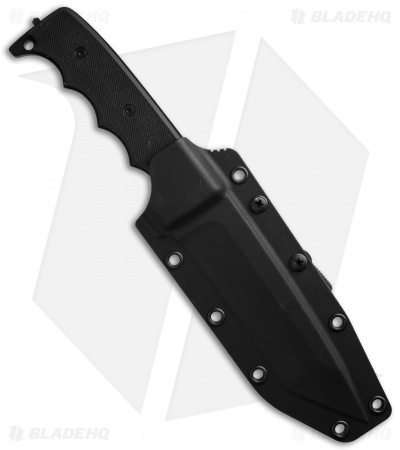 The matte black Blade-Tech molded polymer sheath allows you to position the Stone Cold at virtually any angle and mounts securely to your belt, web gear or tactical vest. Stone Cold means you're ready for the heat of battle.